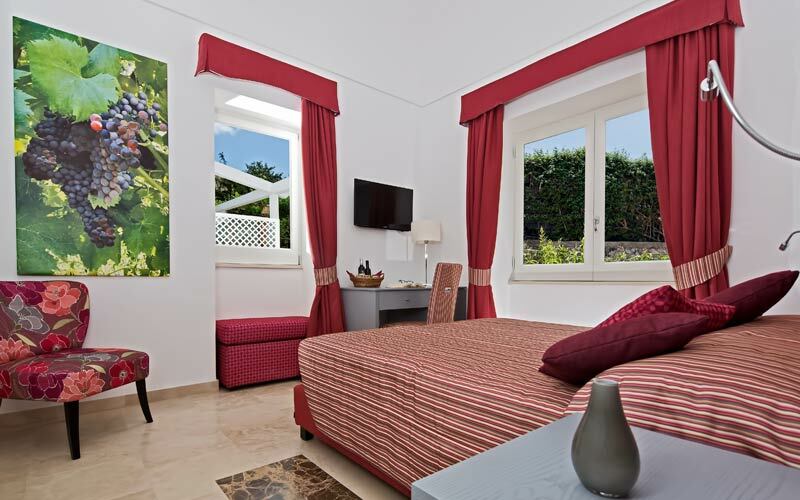 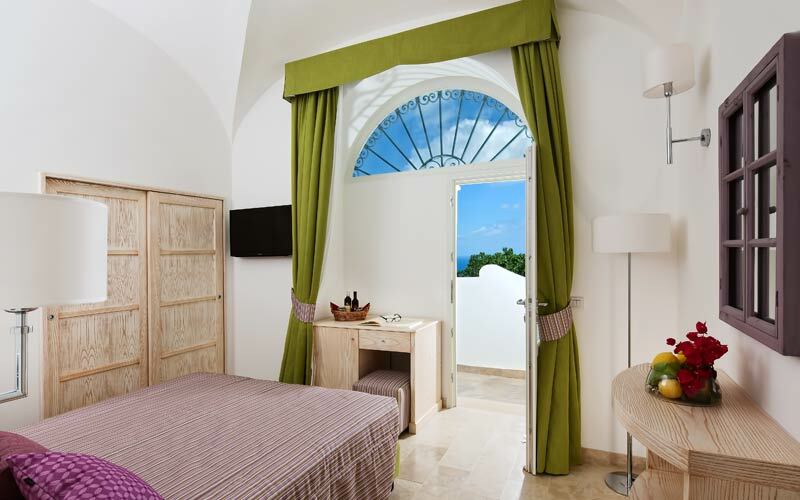 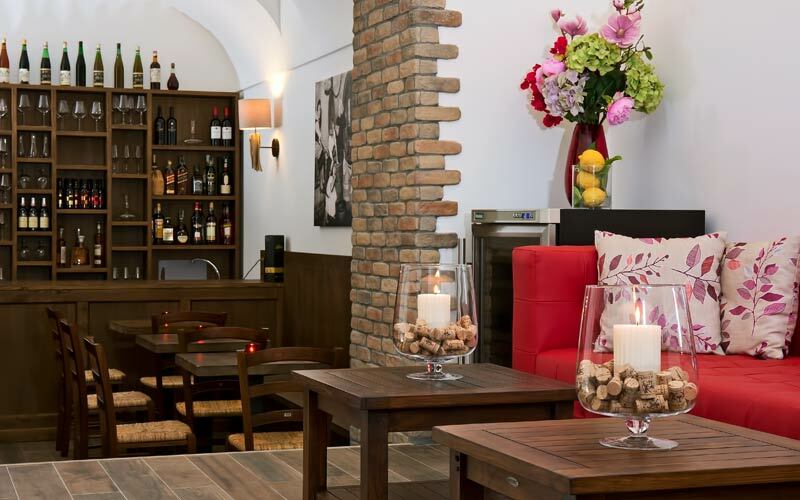 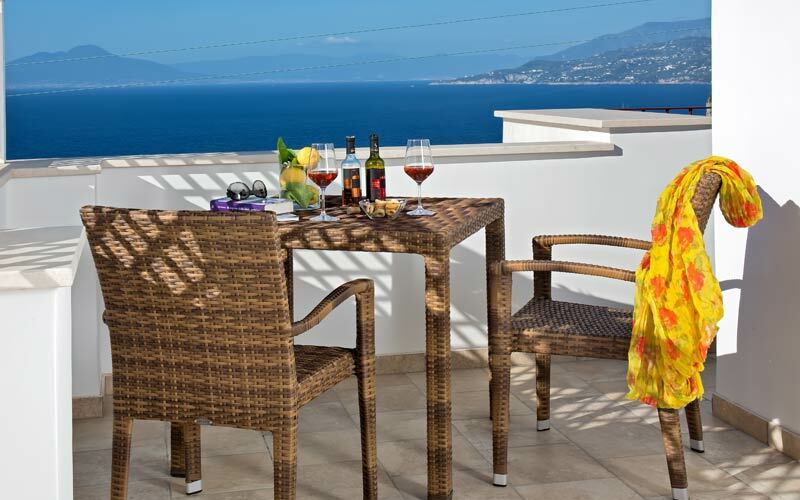 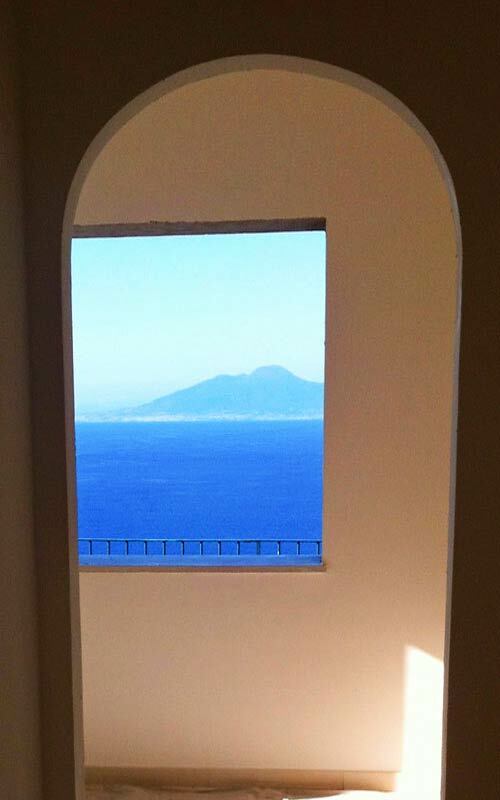 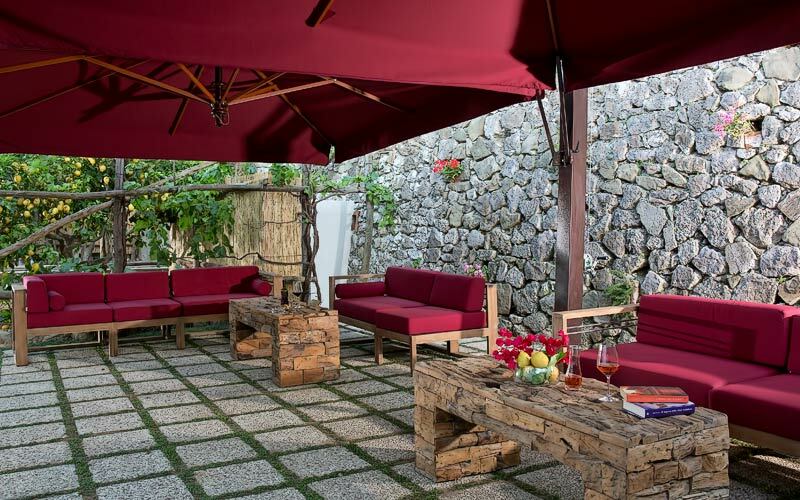 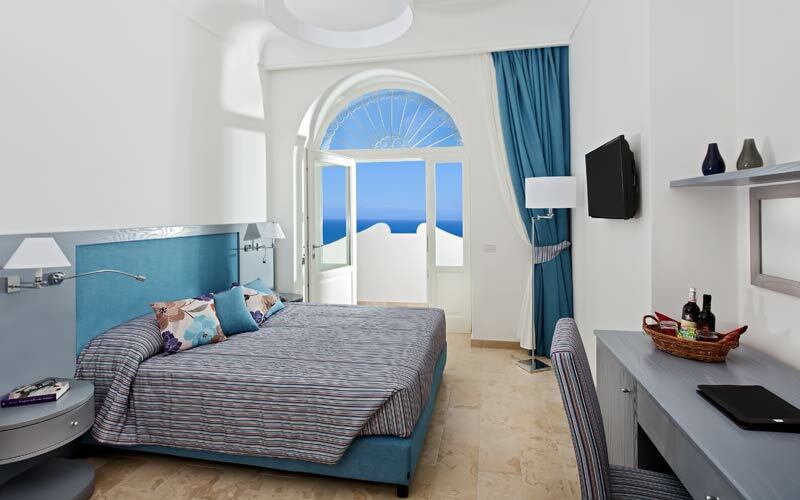 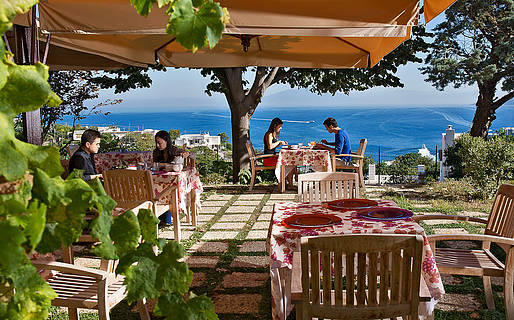 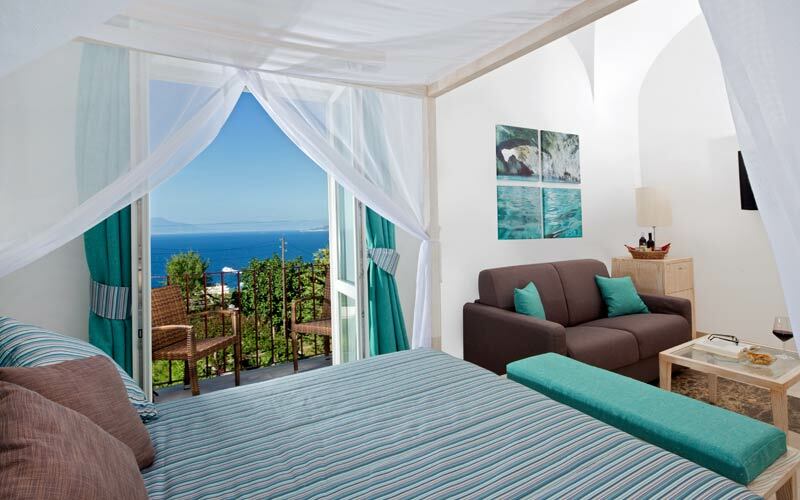 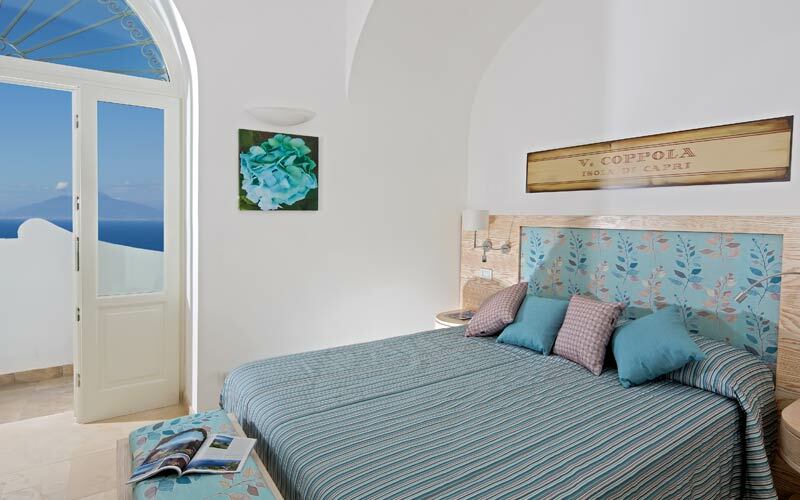 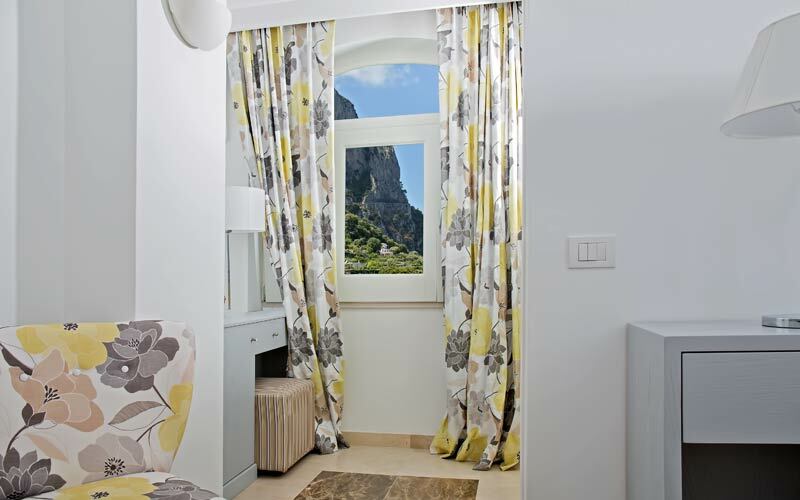 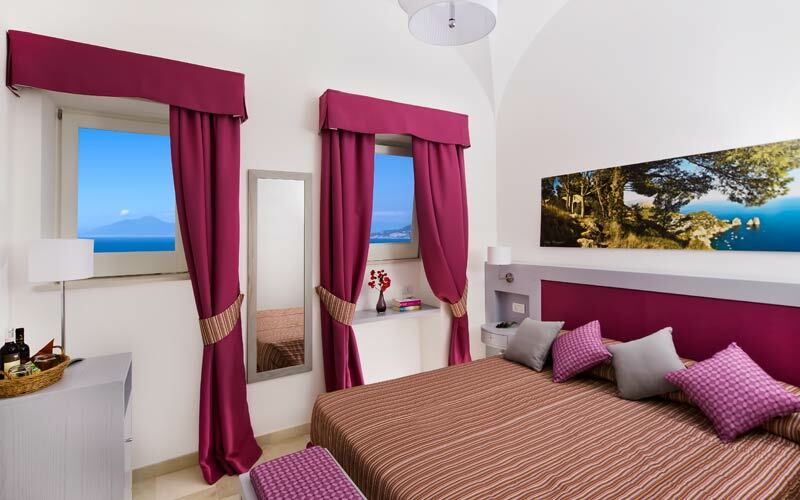 The location, within steps of the Piazzetta, is reason enough to stay at Capri Wine Hotel. 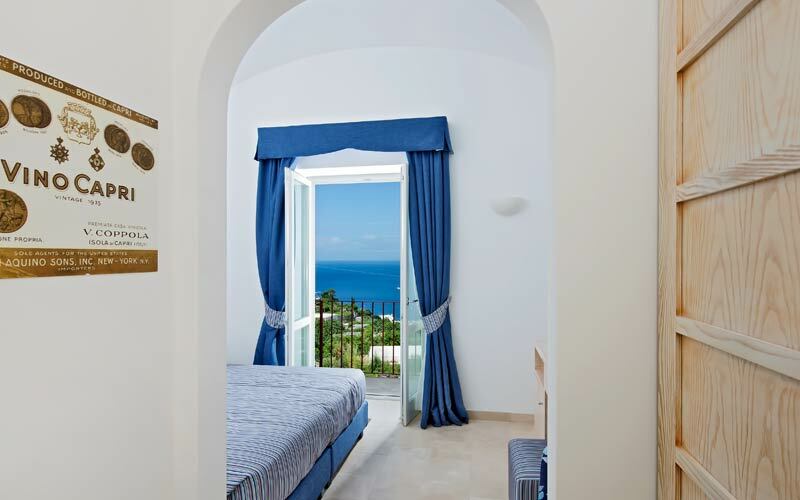 Add the super-cool interiors, the fabulous views of the sea, the gorgeous garden overlooking the Bay of Naples and the cellar - stocked with the best selection of wine on the whole of Capri, and it's easy to see why this boutique hotel was receiving mountains of booking requests long before it first opened its doors to guests, in Spring 2013! 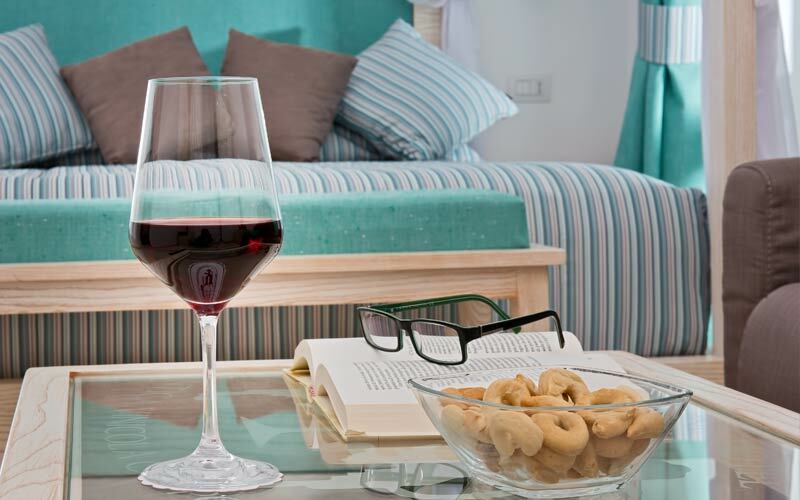 Reflecting the fact that the hotel has been created in what were once the cellars and storerooms of the Antica Vinicola Coppola winery, rooms feature many references to the world of wine. 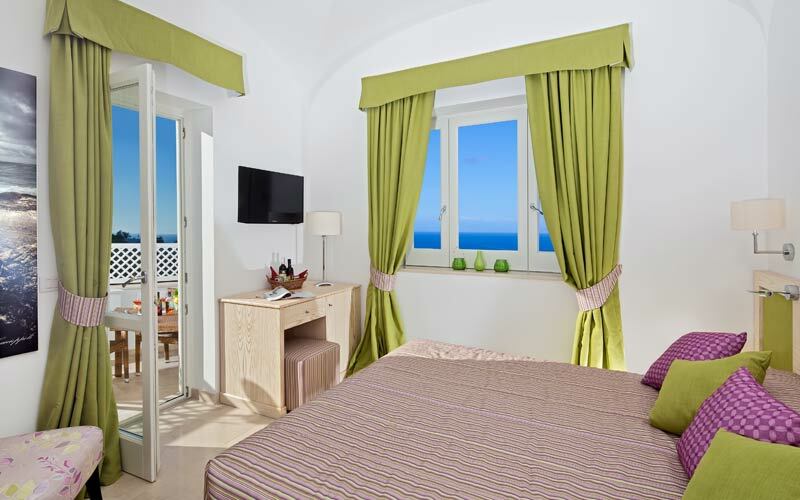 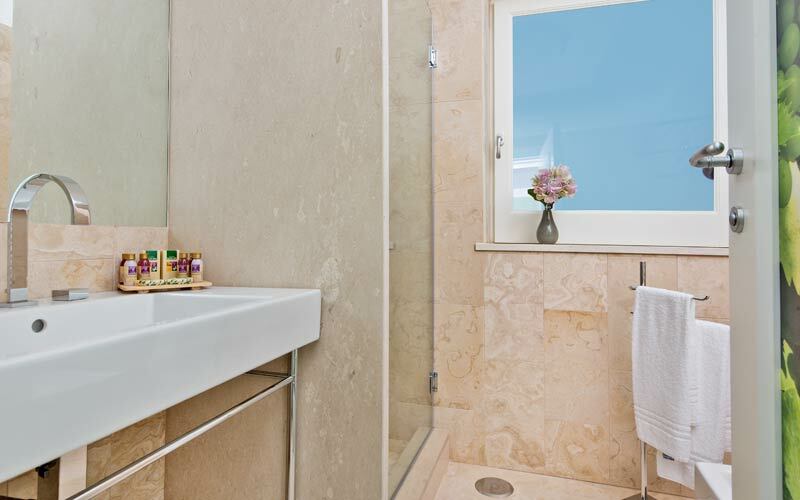 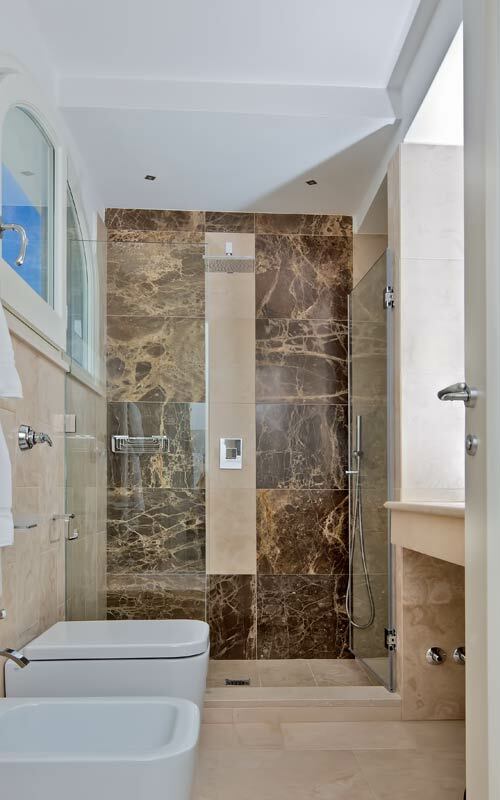 Each and every room enjoys an unforgettable view of the sea. 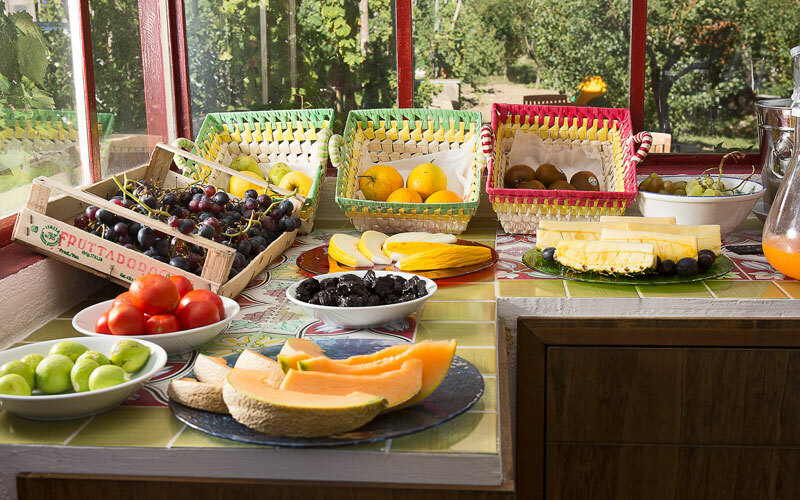 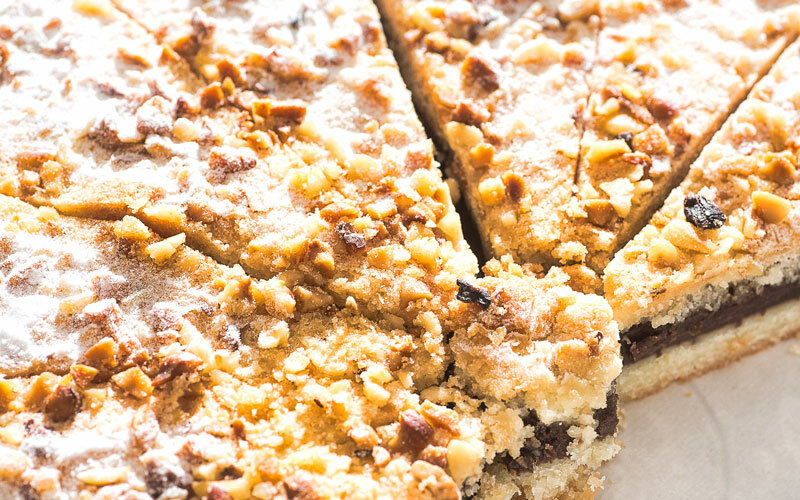 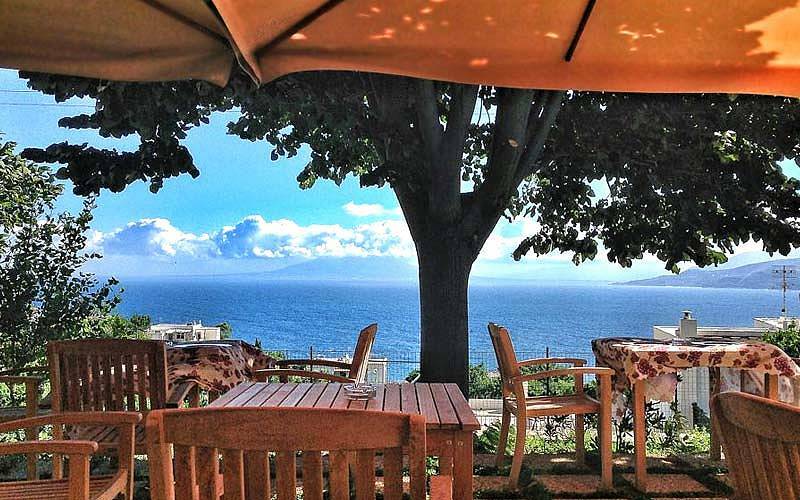 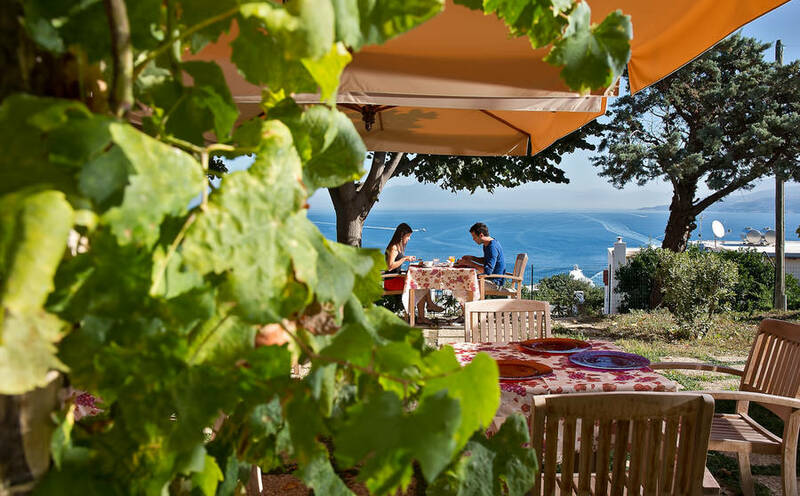 On warm summer mornings, a delicious breakfast of torta caprese, coffee and cappuccino is served in the hotel's wonderfully peaceful, sea view garden. 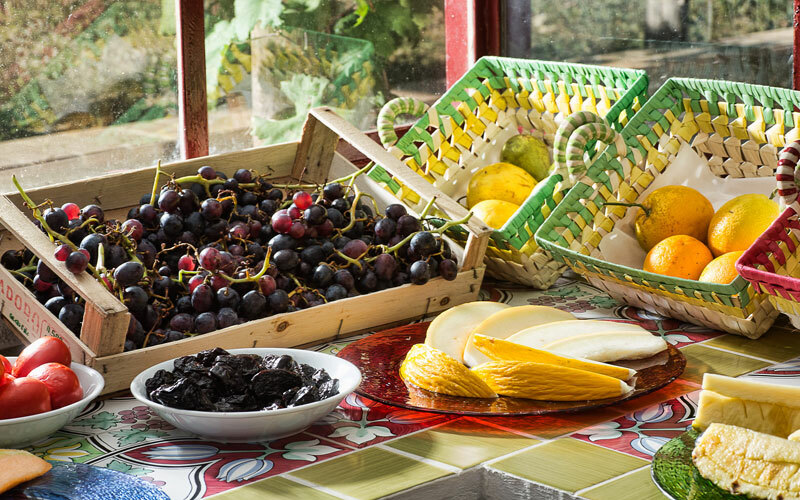 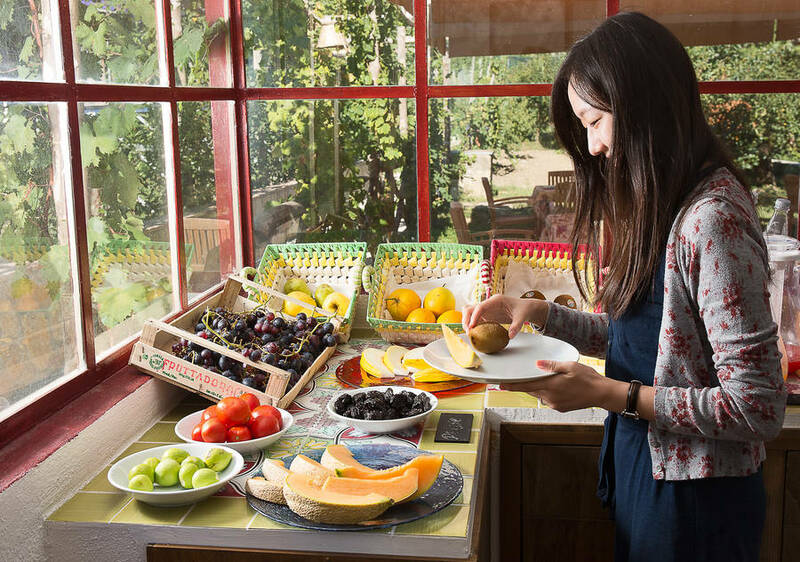 Fancy a fresh fruit juice? 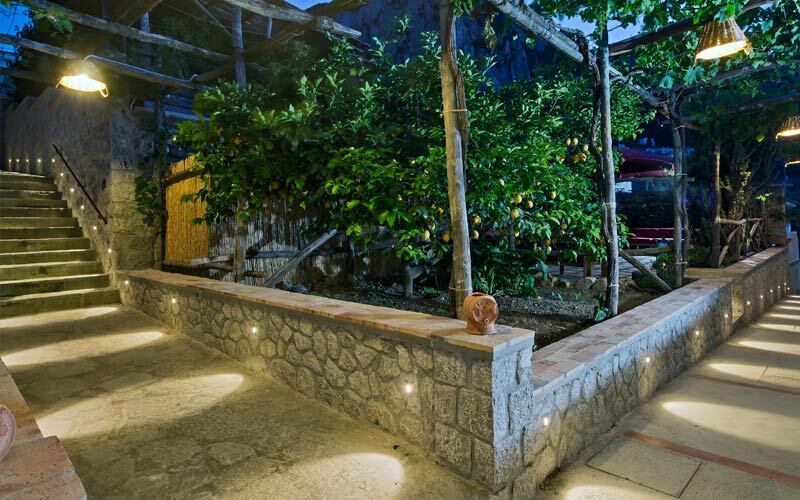 Help yourself to a few of the lemons growing on the trees in the garden and get the waiter to squeeze them for you! 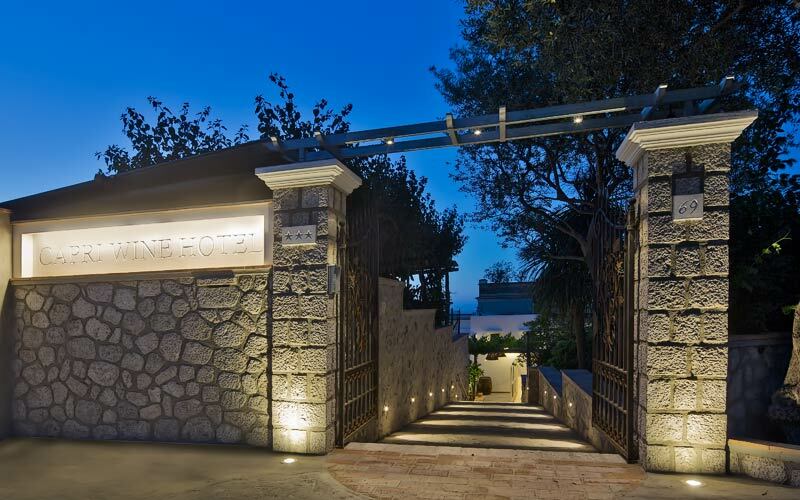 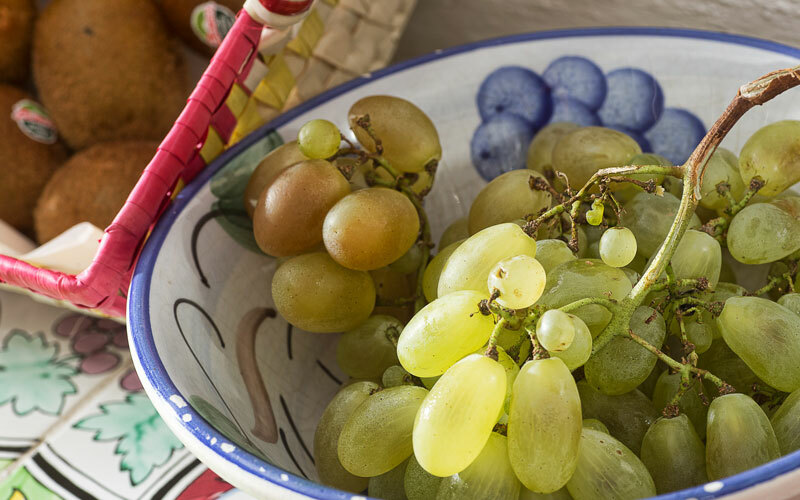 As you'd expect in a hotel created in the cellars of what was once Capri's first winery, the wine list is one of the most impressive you'll see on the island. 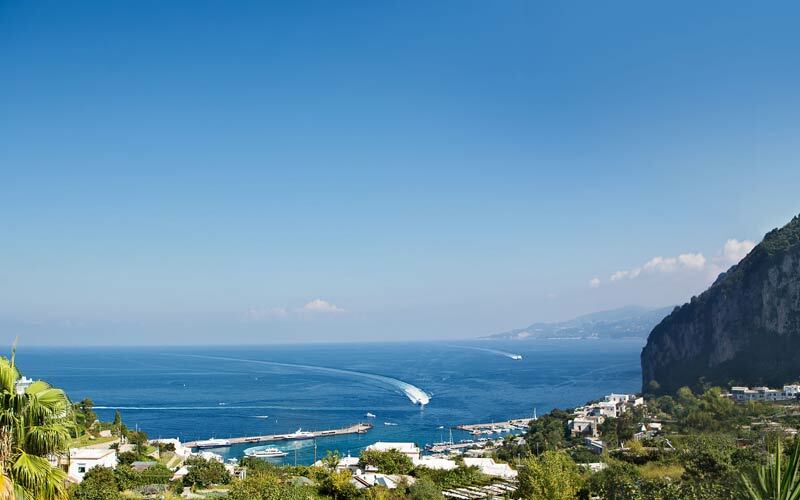 In the last 30 days 39 people have visited this page.